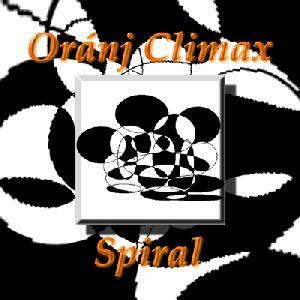 Oránj Climax - "Lava" / "Spiral"
Two new discs from New York City electro space improvisers Oránj Climax. The band is still Charles DeLozier on synths and drums, John Ortega on synths and percussion, and John Pichardo on synths and sequencing. 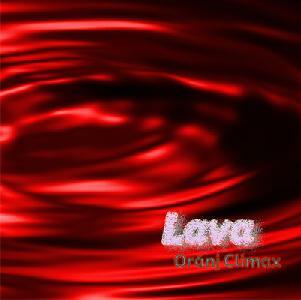 Of the five Oránj Climax CD's I've now heard "Lava" is my favorite. "Subduction" is like an electronic symphony. The atmospheric is dark and there's a clear sense of development as the music builds through a maze of twists and turns. And though a mesmerizing drone runs through the piece, it too changes slowly but distinctly. Things calm after the first 10 minutes and the remaining 5 minutes explore a quieter, but cold, dark, and mechanical corner of space. A solidly develop track that immediately threatened to surpass the e-Noise and Sahara discs we reviewed in AI #8 (link at bottom of page). All four tracks on "Lava" are pieced together as one, and "Subduction" segues smoothly into "Rift", which continues the themes that closed "Subduction", a slow-paced but darkly Tangerine Dreamy journey. "Magma" and "Hudshan" are similar tracks, but feature more varied and textured exploration of sounds and represent a return to the symphony (as opposed to "symphonic") and story-like development heard on "Subduction". "Spiral" is a single live 37 minute track that is similar to "Lava", but more laid back, The music is a sci fi exploration of the ambient cosmos that takes the listener on a journey through sound and all manner of atmospheric space. You'd never know this was live from the recording and I'll bet being there was quite a trip. Very much along the lines of Tangerine Dream and related electronic space masters, the music moves through a succession of deep space electronic tapestries that are meditative and enjoyable, but didn't fire me up as much as the more animated and varied "Lava". But that's only relative to "Lava" as the music is still well developed and beyond the mass of electronic space music that's currently available. CLICK HERE to read the reviews that appeared in Aural Innovations #8.